ScienceOpen and Dustri-Verlag, a German publishing house specializing in medical literature, are happy to announce that the first 39 articles from Dustri’s international English-language journal Trace Elements and Electrolytes have found a new form of representation in the collection of the same name. Embedded in the ScienceOpen platform, you can filter these articles by publication date, title, discipline and much more, as well as sort your results by Altmetric score, view count, citations, date, relevance, and rating. Dustri’s Trace Elements and Electrolytes is a quarterly journal that publishes reviews and editorials, original papers, short communications, and reports on recent advances in the entire field of trace elements. This journal accepts papers on experimental findings if they bear a close relationship to human diseases. It also publishes correspondence (letters to editors) and current information, including book announcements. Managed by Jörg Feistle, Trace Elements and Electrolytes is the official organ of “Society of Magnesium Research”, Germany, and the German Working Group “Trace Elements and Electrolytes in Radiation Oncology” AKTE Germany. 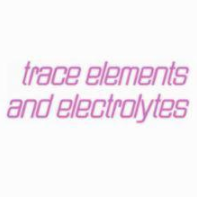 ScienceOpen and Dustri-Verlag believe that Trace Elements and Electrolytes, a collection of carefully curated peer-reviewed scientific articles, will be helpful to all researchers studying trace elements and electrolytes. We invite you to discuss and engage with its diverse content through the many tools our interactive platform has to offer or to help spread the word on social media about scientific topics such as Boron’s potentially essential role in the metabolism of the connective tissue of the biological bone matrix, the role of serum zinc and copper levels in predicting malignancy in differentiated thyroid cancers, or how the levels of homocysteine and zinc could be an important parameter in the follow-up of hypertension. Previous: Previous post: How can you search on ScienceOpen?